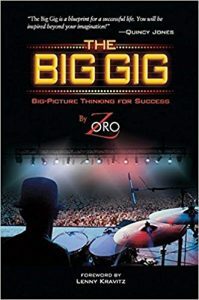 As a drummer who plays professionally and dreams of ever bigger gigs, I am an avid reader and seeker of any information that will help me in my quest. So, I read and I talk to people. And then I make adjustments to what I’m doing. I’m not where I want to be yet. I haven’t played Madison Square Garden and venues of that level. I really want to drum before audiences of that size. So, I’m working towards that and there is an actual method to what I’m doing. Part of how I’ve adjusted what I do is by absorbing information from thoughtful and intelligent people. Several of them have written books. Many of them are just drummers and musicians who I’ve talked to or spent time with. But since the books I’ve found most influential are easily obtainable, I want to share my top 5 with you. You may be surprised that only one is written by a drummer. But the truth is, drumming career advice is hard to come by. Not many drummers write about it. But many of the principles in the other 4 books are really important and completely applicable to your drumming career. The authors of the books may not be drummers, but they are very successful. You can definitely benefit from their knowledge. I know that I did. OK, without further delay, here are my top 5 books for drumming career advice. But don’t let that turn you off. It doesn’t mean that you’re just asking for gigs. Not at all. It means that you develop real relationships, that involve true generosity on your part. You are helping people. And some of them will help you. In music and other creative fields, more than in other careers, your network is ultra important. How do you hear about gigs and auditions? How do you get gigs? Mostly, people recommend you. So, you want to surround yourself with people who will help you get the kinds of jobs you want. But you have to be a real friend. Just hitting up people for gigs will get old very quickly. Also, pumping yourself up to be something bigger than you are will not work. Nor will name-dropping. Experienced creative people will see through all of that and avoid you. 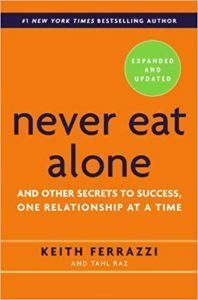 Never Eat Alone gives you the blueprint on how to build your network. Ferrazzi gives very specific advice. Read it and then go do it. It is the single most important book on this list. 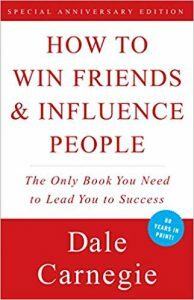 Even though this book by Dale Carnegie was originally published in October of 1936, the wisdom in it is still profound today. The ideas are simple, but they appeal to human nature. What are the specific actions you can take that will endear you to others? This book will answer these questions. When reading some of Carnegie’s advice, you might think, “this is so obvious!” But are you acting the way the book advises? Do you complain, frown and tell people they’re wrong? If so, you might benefit from reading the book. How To Win Friends and Influence People works hand in hand with Never Eat Alone to help you build your relationships. It’s full of solid advice to keep in mind when you’re meeting new people or seeking to persuade. Another classic, Stephen Covey’s book had a huge impact on me when I read it somewhere around the year 2000. The book contains a description of “The Funeral Exercise,” a mental exercise that you can do in five or ten minutes. The “Funeral Exercise” literally changed my life by helping me to realize that I was not on the proper path for my happiness. By the way, I’ve written about “The Funeral Exercise” before and you can check that out HERE. I made major changes in my life after that. And I have Stephen Covey to thank for helping to give me a method for thinking about my life that helped me change it in a positive way. This is the kind of stuff that the book can do for you if you read it and act on it. 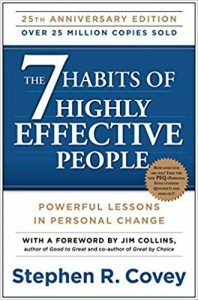 There is much more to The 7 Habits than just “The Funeral Exercise.” It’s one of the most important books on being successful and happy that has ever been written. Applying the principles of the book to your drumming career can definitely help you move forward. Zoro gets very specific in his book. Everything in it will directly relate to your drumming career and how to succeed in it. Some of the advice may seem to be common sense, but I thought it was worth reading. Solid advice and lots of detailed information. It’s the only book of its kind. David Meerman Scott’s book is important to the “digital” side of your career. 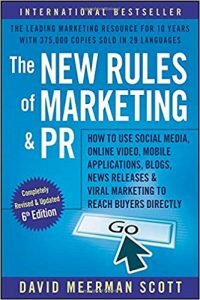 Scott focuses on the details of how to succeed as a marketer in the world of the internet and social media. Obviously, this is pretty important stuff, but surprisingly, I’ve noticed that some musicians are not as versed as they should be in these matters. For example, I don’t understand how any professional musician can function without a website. Do you have one? If not, all the more reason for you to read this. And if you do have one, this will help you make it better, do more for you and drive more people to it. Ok, so that’s the list of books. One more idea that may be helpful to you. Do you know anyone who has a career coach? It seems like a pretty common thing these days, right? A few months ago, I was thinking about my drumming career and what to do to help myself get further along to my admittedly big goals at a faster pace. I wondered if there was a drummer who was doing the kind of gigs I wanted to do who could advise me. So, I looked around. I discovered Matt Starr. Matt has played with lots of people including Ace Frehley and Mr Big. Now, those are pretty big gigs, right? I don’t know about you, but for my career coach to be a credible source of advice, he or she has to be actually doing what I want to be doing. Matt Starr is. And he has a method. I’ve been working with him for a few months and I believe that what he’s advised is helping me move towards my goals more quickly.